i-Ching Psychics bringing you a selection of practical wisdom for your life through the power of psychic practice. I-Ching is a unique and powerful practice that originated in China, and continues to be the go-to psychic method for people searching for clarity and direction in this chaotic life. I-Ching is also known as Yijing. This is a psychic practice that means ‘classic of changes’ or ‘book of changes.’ The practice comes from a very old text from China, and is one of the oldest practices to be classified with New Age oracles. I-Ching is probably best known for its uses of hexagrams to provide clarity and meaning to life’s questions. I-Ching provides insight into our higher self, allowing our subconscious minds to pinpoint answers to the questions we have. This practice involves consulting the i-Ching and the hexagrams as an oracle. Throwing coins or yarrow sticks are used to create one of 64 main kinds of hexagrams, which all mean something different. Each hexagram is made up of six lines, which can be broken or unbroken depending on the shape. The unbroken lines are the yang of the symbol, while the broken lines are the yin. This balance is the foundation of the universe, according to some Eastern belief systems that i-Ching is based in. Whatever shape is made results in a hexagram, which has a meaning to the question you asked. An i-Ching reading isn’t designed to point you in any one direction, but to let you realize the power you have to control and change your life. The i-Ching system can help you become aware of the consequences of your choices and help you to plan for a better future. 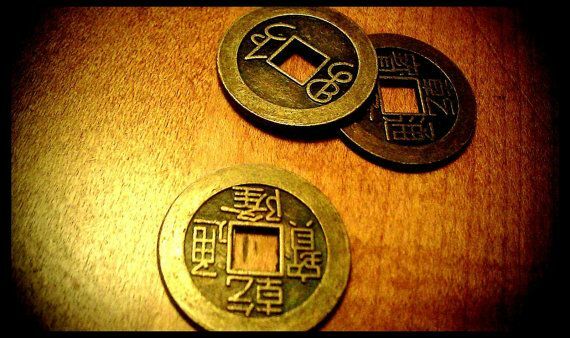 The i-Ching system is safe and simple. Questions are asked, and answers are given. This is a straightforward way to get answers to your questions without losing sight of the powerful energies that exist in the universe around us. We all can use help and guidance as we move through life, and i-Ching is one way to find that assistance and to attain clarity in our lives.